This Juliette Darras lunch purse quickly becomes a chic tote bag, while still being able to hold all your necessary possessions - phone, wallet, makeup - as well as food, drinks, and medicines. Style and substance wonderfully combined! A thoughtful gift for Valentine's Day, birthdays, anniversaries, Mother's Day, you name it. One of the most elegant lunch bags for women, who doesn't want a gift that's both practical and fashionable? You'll surprise and delight with this sleek handbag. Whether you need space for your kids' food, business notes and technology, or simply want to make an impression, the Juliette Darras insulated handbag will not disappoint. Arrive in style, show it off, and pack it with all your essentials. Carry it on your wrist, or strap it over your shoulder and you're away! KEEP YOUR THINGS FRESH AND COOL: With all of the bits and pieces you do on a daily basis, it's not always possible to eat out or have a refrigerator readily available to keep your lunch cool. 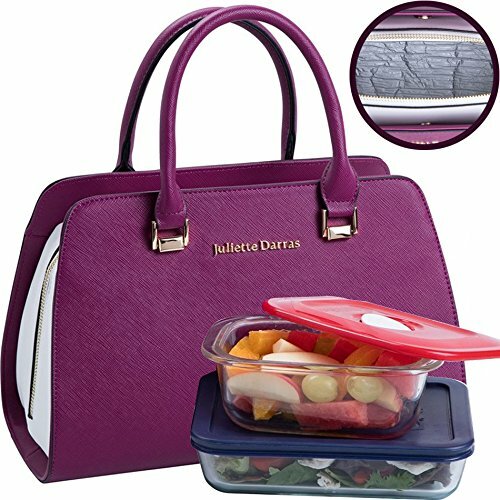 The Juliette Darras lunch tote with compartments eliminates any of these hurdles, as you can pack whatever food and drinks you want and it will remain cold for up to 6 hours. With the food-grade aluminium lining, your food, drinks and even medicine will stay chilled safely in this fashionable lunch bag. DON'T FORGO FASHION FOR FUNCTIONALITY: While our woman's lunch box is designed for functionality, that doesn't mean you can't look fabulous while carrying it around. Designed from beautiful PU leather and fine stitching, from the outside, this lunch bag organizer looks like a designer purse. 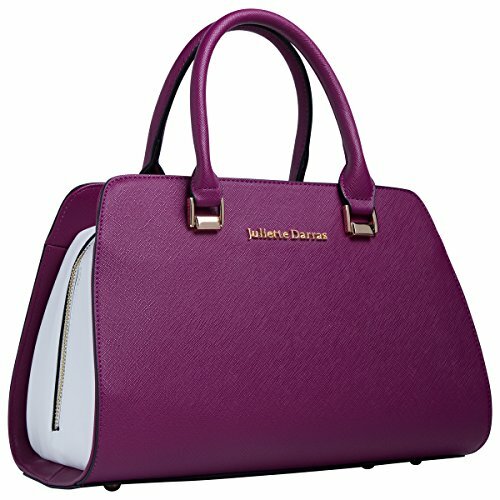 We want women to feel empowered, no matter what they are doing and we believe this bag will add to your bold and beautiful uniqueness and flatter your sophisticated style. FOR THE BUSY WOMAN: From the business woman attending board meetings, to a college student running from class to class, to the stay-at-home mom shuffling her family to and from, this fashionable women's lunch box is for you! Designed to keep your daily necessities in one place while still looking professional, you don't need to worry about lugging around different bags for your mobile phone, keys, wallet, cosmetics and lunch. With this insulated travel bag, you can fit all your items in one slee SPACIOUSNESS FOR ALL OF YOUR BELONGINGS: The Juliette Darras lunch purse is made up of 4 pockets so you can separate your belongings. It will hold important items like your wallet, mobile phone and tablet completely separate from food items. 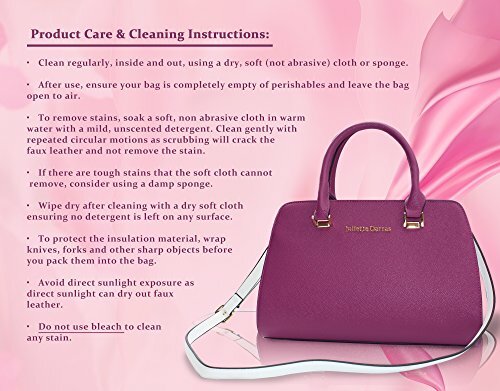 Because this purse is leak proof and waterproof, you won't need to worry about your medicine or perishables contaminating your other important belongings. 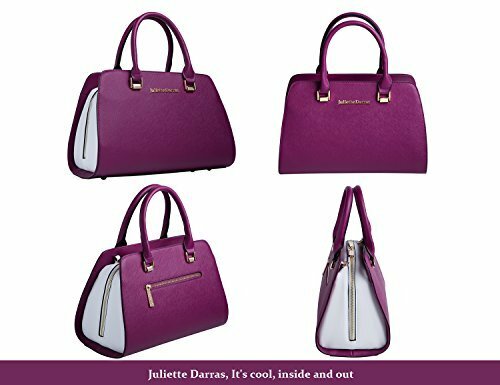 This bag is so spacious, there is room for all those necessities you can't be without throughout the da SATISFACTION GUARANTEED: We at Juliette Darras put quality in front of everything else. 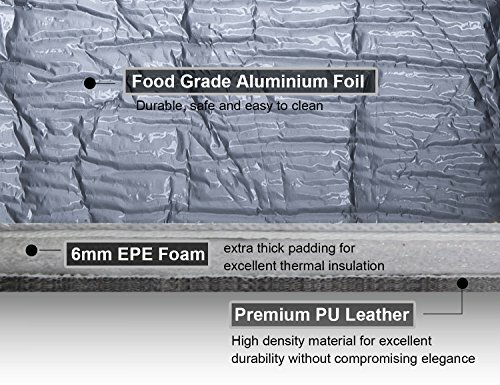 For that reason, your satisfaction with our product is paramount to us. If you have any problem with our cooler bag lunch tote, return it within 12 months and we'll be happy to replace it or provide you with a refund. We rely on our customers to make out business thrive, so we want you to be absolutely thrilled with your purchase.